Despite limited radio support and not having performed locally since 2008, the show was a quick sell-out. Watching the audience sing blissfully with material whether new or obscure, it was clear that Elbow’s Chicago-based fans were devoted and invested. They cheered for intricate songs like “The Birds” as if they were clutch goals delivered by hometown sports heroes. 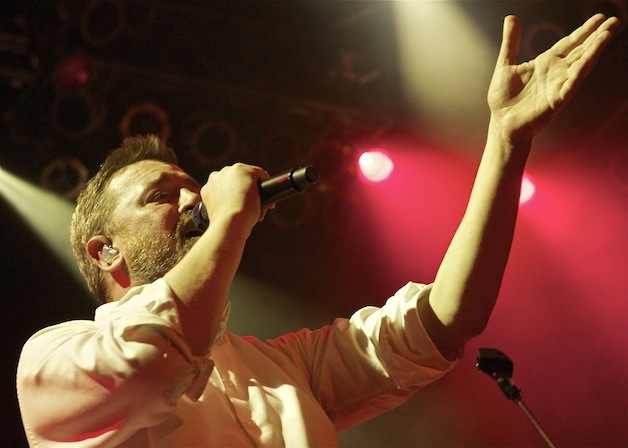 Elbow returned the energy with impassioned versions of songs including the single “New York Morning” from new album The Take Off and Landing of Everything. Garvey engaged the crowd as a gathering of friends, and handled rare disruptions with good humor and an easy-going manner. The audience did its best to make the band feel at home as well. At one point, a pocket of fans started a Manchester, England football cheer. Garvey jovially noted that he loved his city, but hated the cheer. Later, Garvey polled the room for anyone on a first date. While leading the crowd in twinkling skyward motions with their fingers, Elbow dedicated the cinematic and romantic “Mirrorball” to a couple identified as Nicolito and Kristen. The evening’s most intimate moment came during a heart-stopping performance of “Great Expectations” from Leaders of the Free World. Garvey displayed finesse and range far beyond that of a mere rock singer, pushing skyward towards a melancholy peak while describing the lingering spark for an old flame. Keyboardist Craig Potter echoed every emotion with his stirring piano arrangement. Elbow balanced its subtle touch with grand gestures. 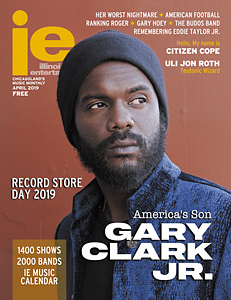 The fond, sepia-toned memories of “Lippy Kids” from the Build a Rocket Boys album gave way to the celebratory, wide-eyed optimisim of “One Day Like This.” Garvey enlisted help from the crowd while singing both songs, reaching across the barricade to shake hands and occasionally offer his microphone. Guitarist Mark Potter lashed into a floor-shaking blues riff as Garvey challenged the crowd to out-sing other tour cities during “Grounds for Divorce.” It may have been a common showbiz maneuver, but fans took it seriously and gave the band a powerful response. The main set concluded with “My Sad Captains,” a love letter from Garvey to dear friends down at his local pub in Manchester, England. “If it’s true we pass this way but once, what a perfect waste of time,” he sang, emphasizing the word “perfect.” The sea of beaming faces at House of Blues suggested that the evening with Elbow in Chicago was equally well spent.